CBGB, the birthplace of New York's 1970s punk scene, closed in 2006, with Patti Smith headlining the final show. It was the end of an era, another great New York institution shutting its doors. Since then, if you wanted to re-live the CBGB experience, you could take a virtual tour of the grungy digs online, or watch vintage videos of 197s0s CBGB shows featuring The Ramones, the Talking Heads, Blondie, and even a young Patti Smith. And now you can seemingly try to recapture the Bowery vibe in Newark, New Jersey. 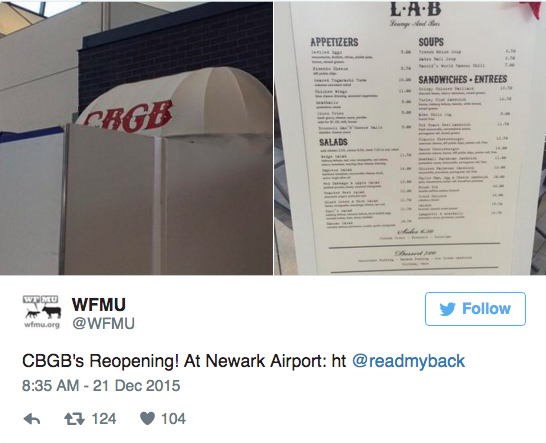 As the tweet above from indie radio station WFMU suggests, CBGB will be reincarnated apparently as a restaurant in a Newark Airport terminal, with a menu offering Cheeseburgers, Chicken Wings, Caprese Salads, Seared Togarashi Tuna, and Kobe Chili Dogs. 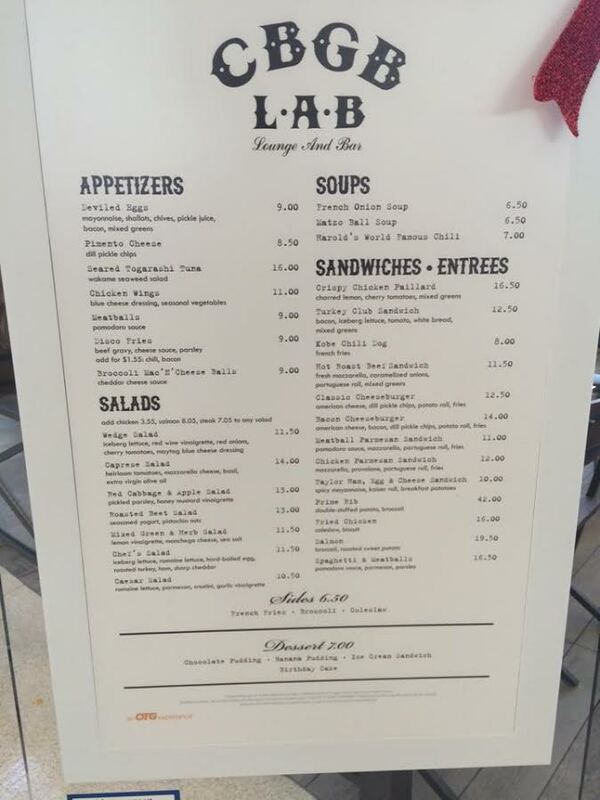 The menu doesn't seem to be shooting for authenticity, but maybe, hopefully the bathrooms will.